We don’t just design prospectuses for LCF. 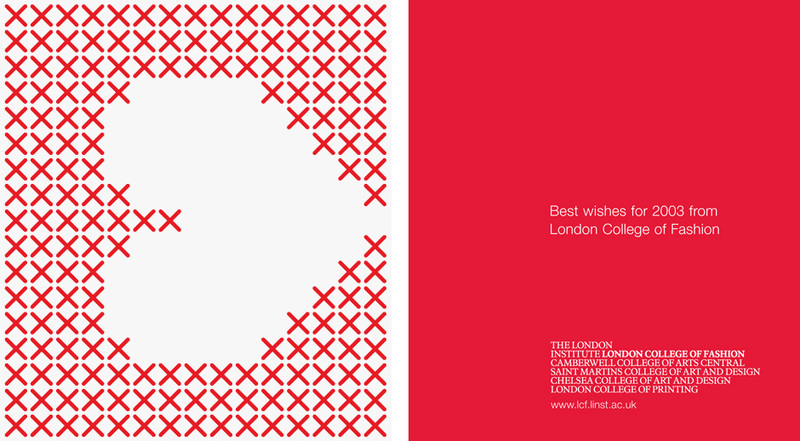 This Christmas greeting (one of four) was fashioned from a pattern of crosses to make stylised initial letters. When printed on clear acetate the letters concertina together and form a heart.